Chronic stress is not only the leading cause of chronic illness, such as heart disease and diabetes, it’s also the leading cause of aging. Stress and anxiety l ead to difficulty sleeping, poor eating choices, a weakened immune system and accelerated aging in the body, impacting both skin health and internal health. Take steps to reduce stress every day, in whatever form possible. This might mean deep breathing, regular yoga or meditation class, exercise, therapy, journaling, long baths or scheduling social time. If only afternoon naps were still a daily requirement! Sleep deprivation ages your body, increases stress and anxiety, and causes hormonal imbalance; most noticeably, an increase in cortisol, which is directly responsible for fat storage and belly fat. Aim for 8 hours of sleep per night, and if that’s not possible, try to find a time to snag a quick 15 minute nap at some point during your daily routine. Keep your bedroom cool, dark and quiet to encourage deep, restful slumber and unplug your phone, computer and TV at least an hour before hitting the sheets. Though low-fat diets became very hip over 50 years ago, we now know that healthy fats are actually necessary for brain function, a strong heart, supple skin, nutrient absorption and even fat burning. 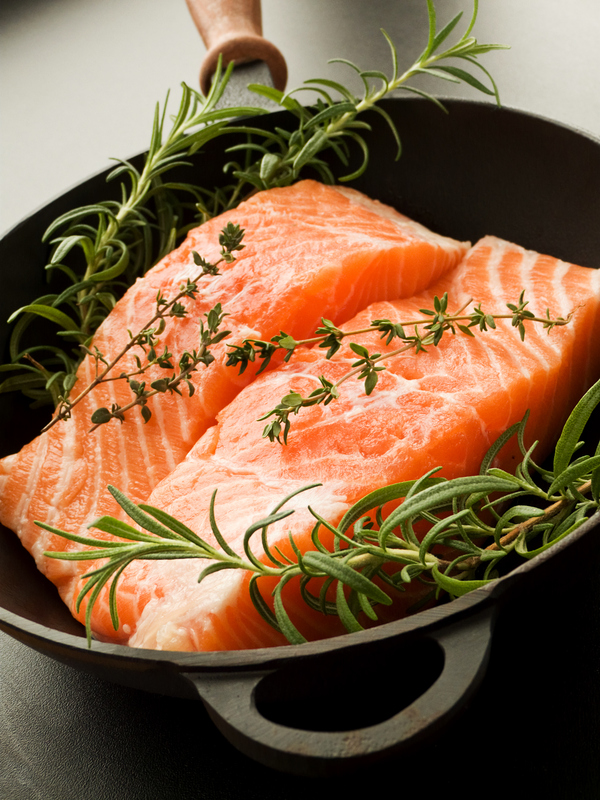 Look for healthy omega 3 fats found in walnuts, olive oil, avocado, nuts and wild-caught salmon. A little bit goes a long way, so add a small amount of these foods to your daily meals to reap the most health benefits. The average American eats 150 pounds of sugar each year. In addition to being bad for the waist line and risk of chronic illness such as obesity and type 2 diabetes, refined sugar consumption is also terrible for the skin and teeth. Eating sugar has the same wrinkle causing, skin aging effects as smoking and tanning. Opt for fresh fruit instead, satisfying your sweet tooth with natures candy like blueberries which provide the body with antioxidants that combat the signs of aging plus fiber to help keep blood sugar stable. Healthy living is all about balance. When your hours and energy all go to your work obligations, especially if your job is particularly draining, demanding or exhausting, you increase your risk for heart disease, decrease brain healthy and markedly reduce your desire or ability to engage in healthy living behaviors, such as exercise, clean eating, stress management and adequate sleep. If switching to another job or career isn’t an option, focus on ways to reduce the negative health impacts of your current ones. This might mean reducing hours slightly, taking 15 minute breaks to get some air, or employing deep breathing techniques throughout your day. And be sure to schedule downtime and/or mini-vacations so that you have something to get excited about and look forward to. Eighty percent of sun exposure comes from cumulative everyday outings, such as driving, walking or even sitting next to the window at the office. This can lead not only to skin cancer, but wrinkles, dull skin and sun spots as well. Limit your sun exposure by applying a face and body moisturizer with at least 30 SPF daily, wear sunglasses to prevent crow’s feet and quit your ‘baking in the sun’ habit immediately. Aim for 5-10 minutes of sun exposure to improve vitamin D production and absorption, but outside of that, cover up! Categories: Beauty, Health and Wellness, Nutrition, Preventative Health | Tags: clean eating, Eat Clean Health, health benefits of de-stressing, health benefits of sleep, health risks associated with sugar, healthy habits, healthy habits that prematurely age you, Stress, things that age you | Permalink. Perhaps you’ve come across this dilemma: You love to eat clean, but you also love to experiment in the kitchen. And many of the recipes that make you salivate call for ingredients less than supportive of your ‘clean food, healthy bodies‘ ambitions. Instead of white or wheat flour, use almond flour: Almond flour is a bit heavier than traditional flour, so you may need to experiment a bit with conversions, but almond flour is a fantastic way to get an extra boost of protein, omega-3s, and a delicious nutty flavor in your baking. Instead of sugar, use Stevia: Much sweeter than sugar, a recipe calling for 1 cup of sugar should be swapped for 1 teaspoon liquid stevia (or about 2 tablespoons stevia powder). Instead of butter, use avocado puree: Excellent for creating creamy, decadent taste, 1 cup of avocado puree per cup of butter works generally works well. Instead of flour, use black beans: Swapping beans for flour helps you cut out gluten and refined flour, PLUS it boots fiber and protein in your recipe. For baking, swap 1 cup flour for 1 cup black bean puree. Instead of pasta, use zucchini or spaghetti squash: Cut out highly refined, highly processed pasta and replace it with spaghetti squash for a delicious, nutrient dense dinner. Or spiralize zucchini for a healthy pasta alternative. Instead of white rice, use brown rice or quinoa: White rice has been stripped of nearly all nutrient value, so stick with brown rice, whose dark colored bran and fiber content is still present. Even better, switch to quinoa (which is technically a seed), boosting protein and fiber in your favorite meals. Instead of mashed potatoes, use cauliflower: Simply steam and puree cauliflower with a tablespoon of olive oil for an excellent comfort food substitution. Instead of bread crumbs, use ground flax seed: Same texture, better taste and exponentially better nutrition value. Instead of white rice, use steamed cauliflower: Taste and texture are practically the same, yet cauliflower is light years ahead as far as healthy body benefits. Instead of tortilla wraps, use butter lettuce cups: Skip highly processed and packaged wraps, opting for extra greens, fiber and taste instead. Instead of beef, use bison or ground turkey: Lean, organic cuts of bison or turkey are an excellent red meat alternative. Instead of pita, use veggies for dipping in hummus: What’s better than bread?! Veggies? This is a great way to sneak more into your daily routine while reducing processed food consumption. Instead of potato chips, use kale or beet chips: Craving crunch? Get your snack on AND boost your health with homemade beet chips. Instead of french fries, use sweet potato wedges: Yep, you can still have fries! Just make them the sweet potato kind, boosting fiber, flavor AND vitamins. Instead of cream, use coconut milk: Delicious, rich and creamy never tasted so good. Excellent for soups and smoothies. Instead of cheese, use nutritional yeast: The taste is slightly different, but nutritional yeast is packed with folate and essential amino acids that boost overall health as well as provide a healthy substitute for anything you might sprinkle with cheese. Instead of mayo, use avocado mash: Loaded with healthy fats and fiber, mashed avocado is an excellent alternative to mayo. Seriously, have you ever read the ingredient label on mayo?! Grab an avocado instead! Instead of juice, use sparkling water: Whether you’re looking for a refreshing beverage or a healthier alternative to use as a mixer in alcoholic drinks, soda water can’t be beat. Add fresh lemon, limes or berries to boost the flavor and fun to an even higher level. So get cooking! And feel free to share your clean eating recipes or pictures on the Eat Clean Health Facebook page. Categories: Health and Wellness, Nutrition, Preventative Health, Recipe(s) | Tags: avocado puree, clean eating, clean eating dessert, clean eating recipes. clean eating food substitutions, eat clean, Eat Clean Health, eating well, healthy cooking, healthy cooking substitutions, healthy food substitutions, healthy food swaps, home cooking tips, nutritional yeast cooking substitutions | Permalink. Smart snacking is a great way to keep blood sugar stable and junk food cravings at bay, but what exactly is ‘smart snacking’? Instead of grabbing snacks from vending machines or convenience stores, which will sabotage your ‘clean food, healthy body, energized life’ goals, try making your own. This fantastic combination of protein, fat and carbohydrates keep your energy up, blood sugar stable and hunger satiated. 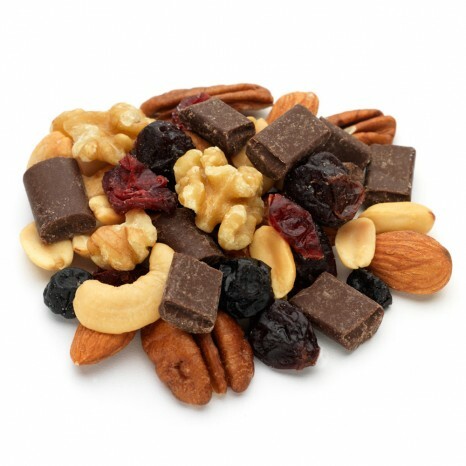 Throw some unsalted nuts, seeds, and dried fruit together for a fantastic on-the-go snack that you can stash almost anywhere. Homemade hummus is always best, helping you stay away from added sugar and preservatives. Pair it with fresh cut celery, broccoli, and tomatoes for a filling, nutritious snack. 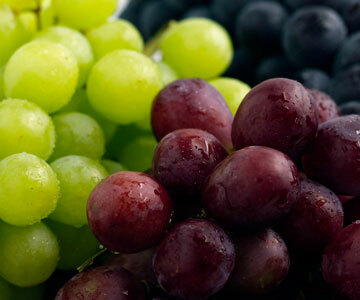 Keep grapes in the freezer for a tasty treat that’s loaded with antioxidants and vitamins. Freezing grapes helps you savor and eat mindfully, plus chilling them creates a special, healthy treat. Bananas are a good source of vitamin B6, which is vital for managing protein metabolism. Carrots are low-calorie, which is great for those with weight loss goals. 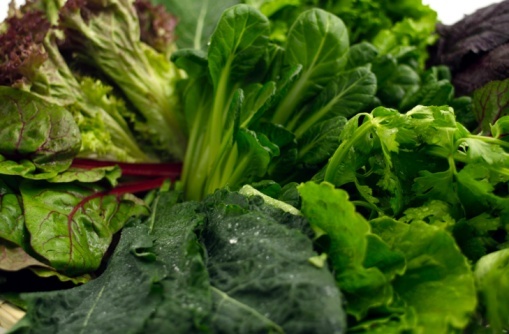 Plus, they contain carotene and vitamin A, which promote eye health and strong immune function. Pair them with hummus for a delicious, creamy snack. Dried plums are a good source of instant energy carbohydrates, they are fat-free, and they’re also a good source of fiber and potassium, which helps lower high blood pressure. Not just a breakfast drink! Smoothies are an excellent way to get plenty of fruits and vegetables that offer a plethora of fiber, vitamins and minerals while energizing the body, keeping hunger in check and boosting the metabolism. When you find yourself reaching for a snack, whether in response to physical hunger or emotional need, reach for one of the snacks above and keep your health goals on-track while satisfying your sense. Eat clean and drink up! For additional ideas as well as personalized support and information related to clean eating, balanced nutrition, and healthy lifestyle, visit Eat Clean Health and don’t forget to sign up for the Eat Clean Health monthly newsletter. Categories: Health and Wellness, Nutrition, Nutrition Program(s), Preventative Health, Recipe(s), Snacks | Tags: clean eating, detox programs, healthy eating, healthy snacks, homemade hummus, quick snacks, tasty snack ideas | Permalink.